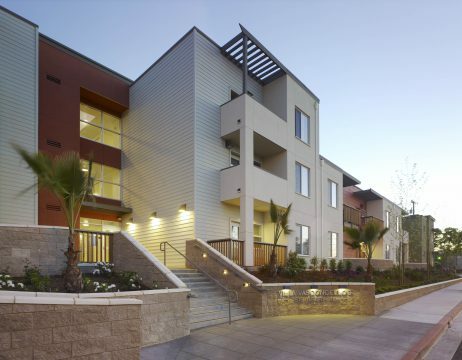 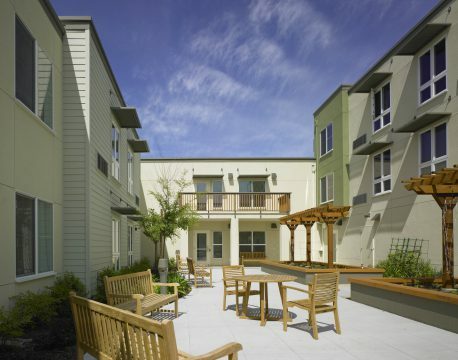 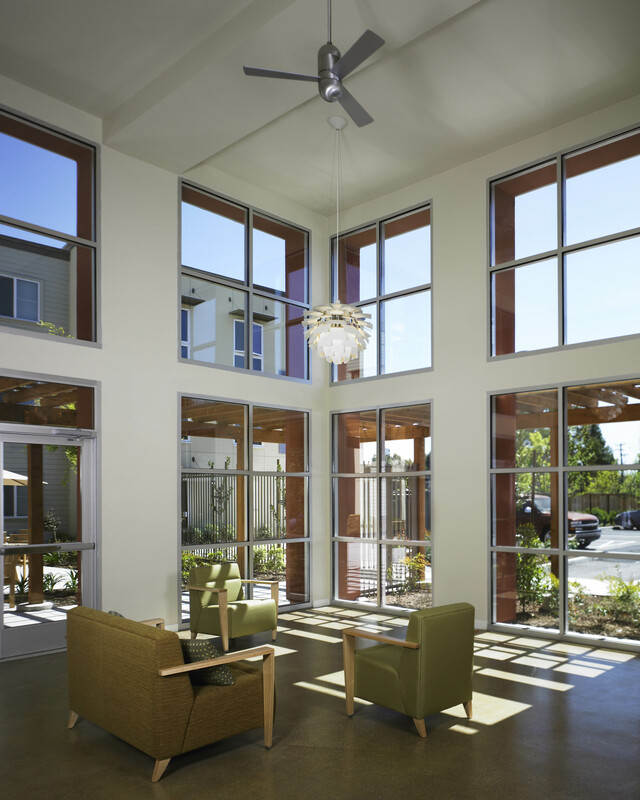 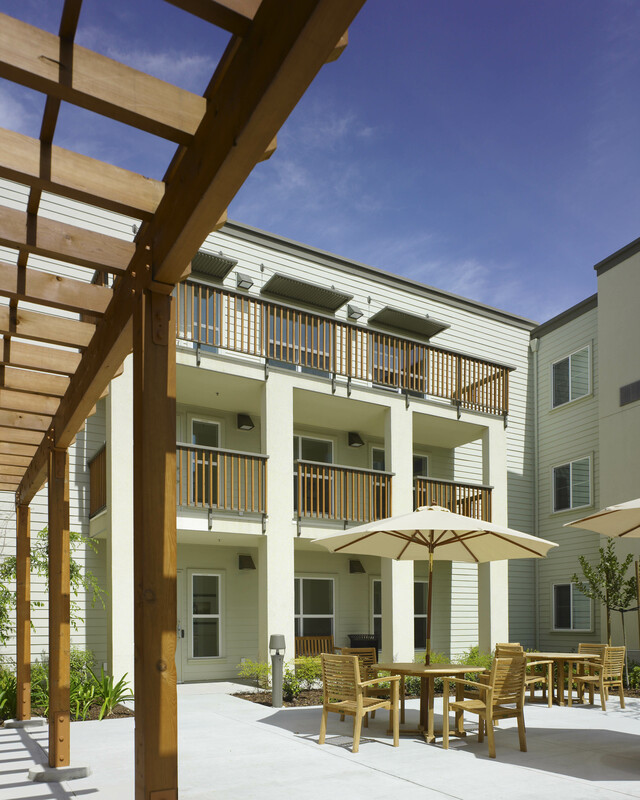 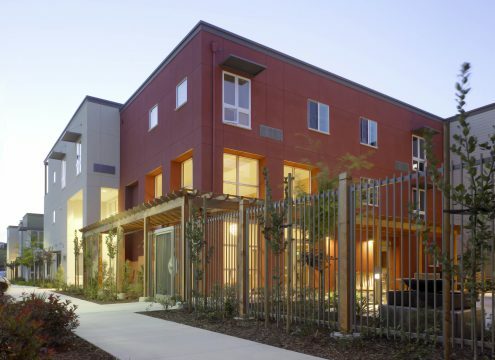 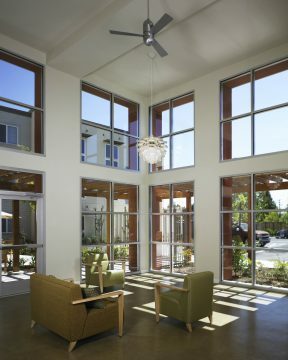 Villa Vasconcellos is an affordable senior housing project located in Walnut Creek, CA. 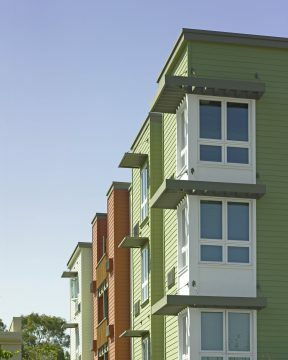 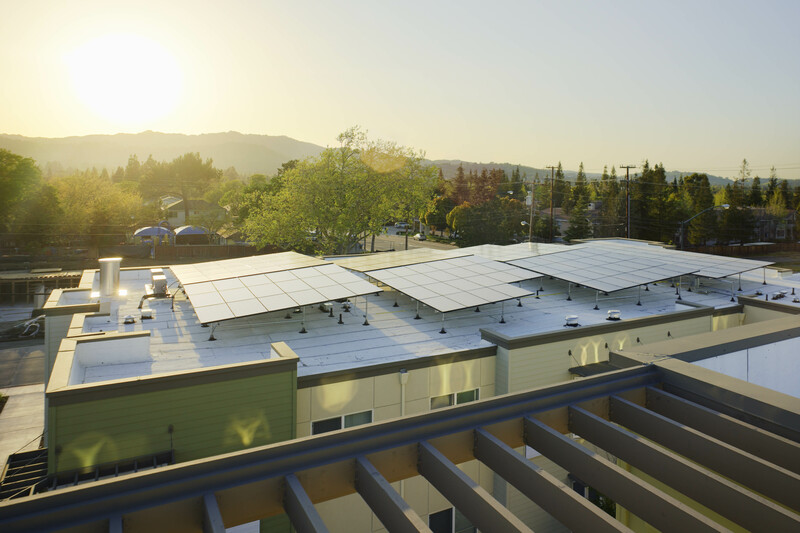 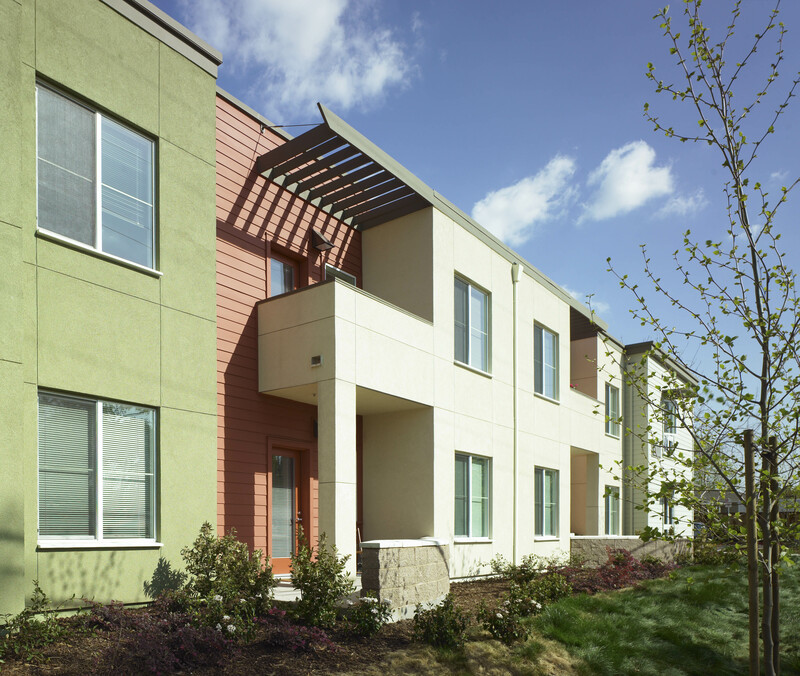 This is one of the first green multi-family housing projects in the city, with solar energy and hot water heating. 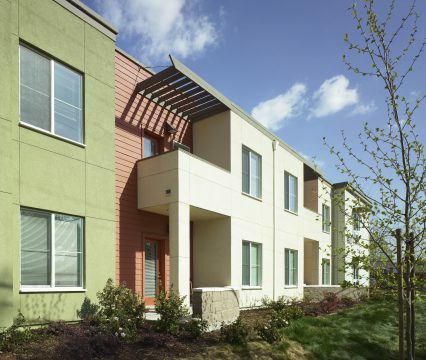 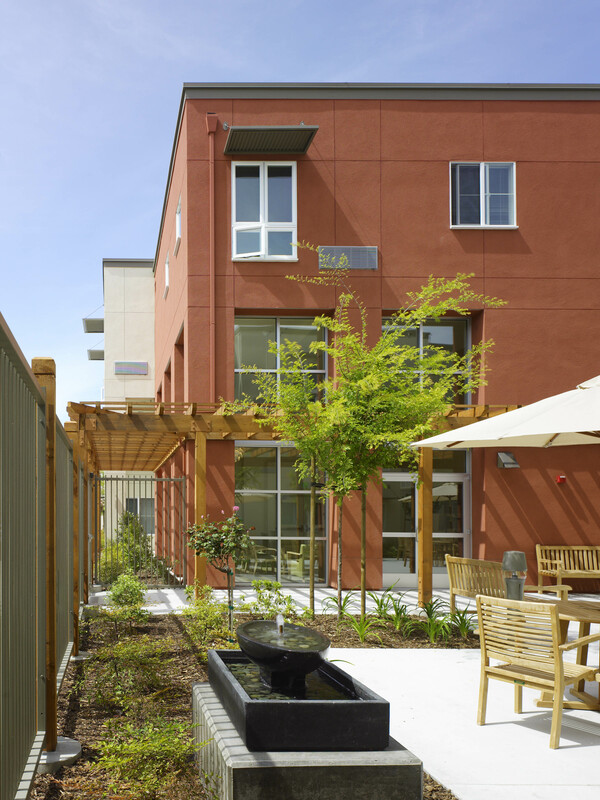 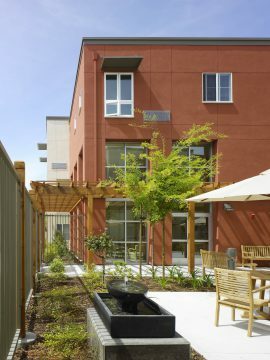 Designed for independent seniors, the modern two- and three-story building contains fully accessible and adaptable units, organized around two courtyards for gatherings, outdoor exercise and community functions. Through porches, balconies, covered entries, trellises and communal courtyards, residents can enjoy both private and shared outdoor spaces. Create sustainable, accessible housing for independent senior living with the goal of “aging-in-place”. 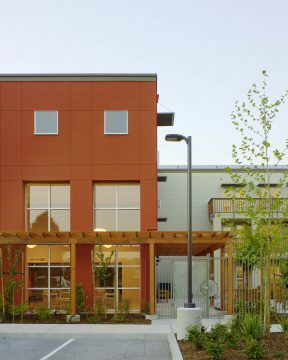 Develop 70 green, accessible and affordable housing units for seniors.